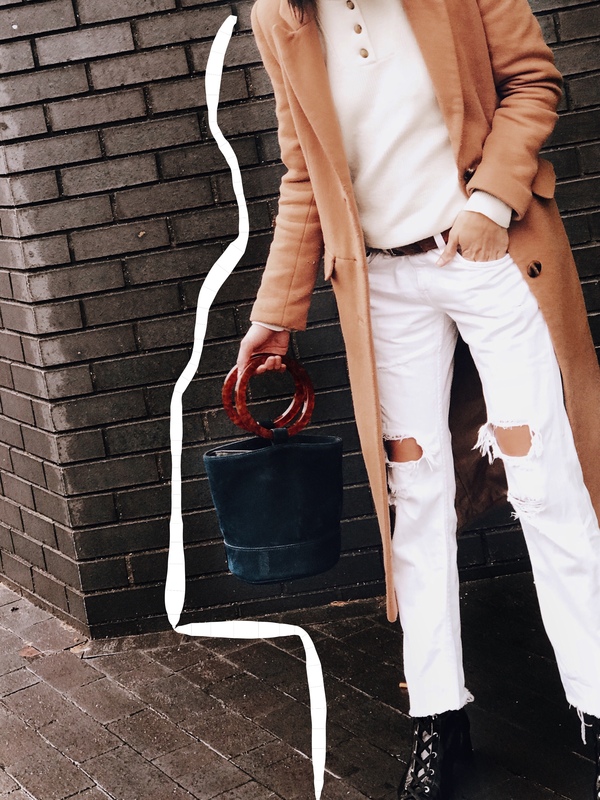 My go-to winter outfits lately have been easy denim pants, the pair you can throw on and team with anything, the kind that helps you take ten minutes to get ready whilst looking put together? It’s the modern way to wear the trickiest colour in winter. Should you wear white when it’s pouring down with rain In the middle of December, or if you have little babies who need picking up with mucky feet? So how can you wear white in the winter without looking like a walking postcard of summer. 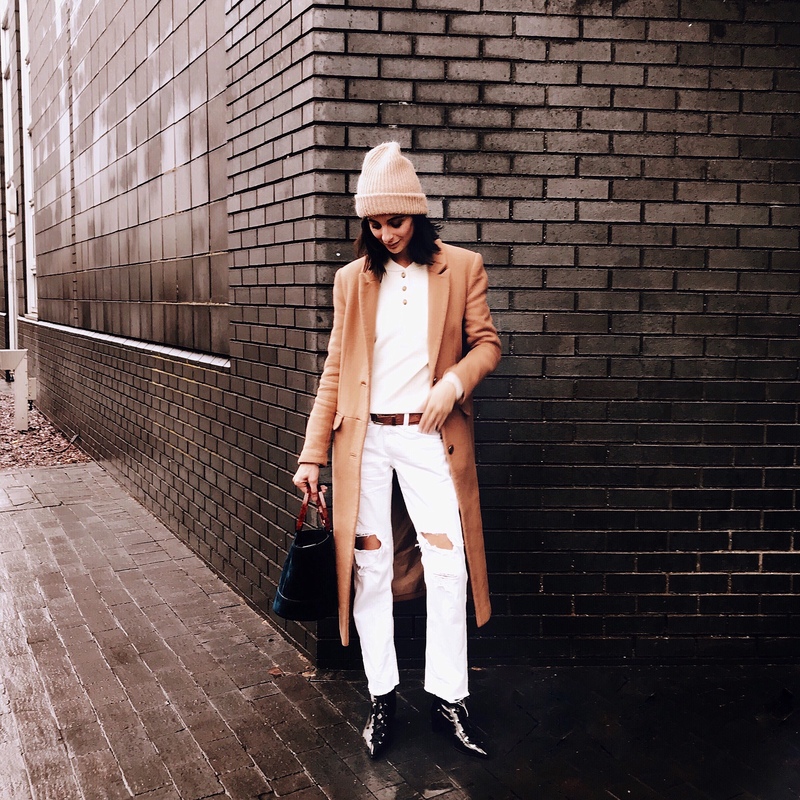 Well you can totally wear white all year long and make a big impression during those colder months by doing just that. 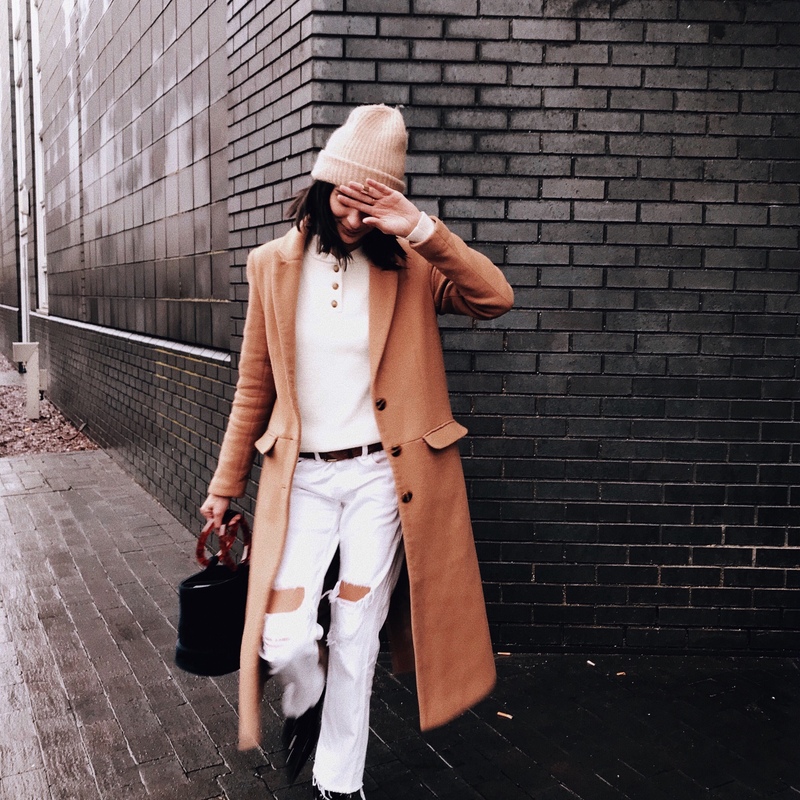 Whilst this weather seems to be confusing everyone at the moment, I like to team my favourite white denim pants from Rag and Bone here and super affordable here with my favourite jumper from J.W.Anderson’s collaboration with Uniqlo (here-and now in the sale!). 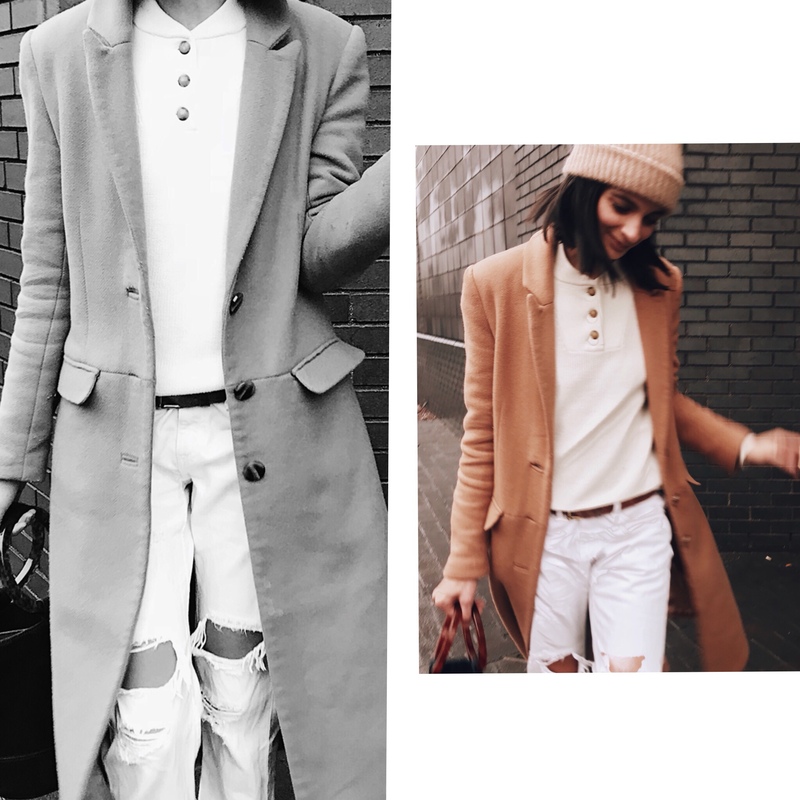 By adding a brown belt (here) and my favourite brown camel coat (similar here) it helps to add a little warmth and gives the outfit the lift it needs to make it more season appropriate and If your looking for an investment piece that you can wear season after season and time and time again, it’s the much trusted camel coat. 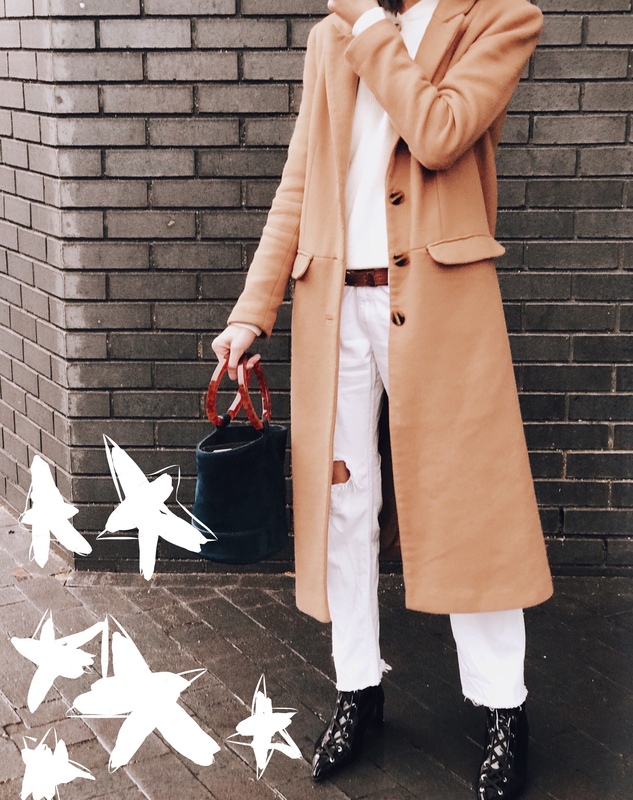 So wearing white isn’t as bad as you think, just team it with season friendly boots like my new trusted Zara lace up ankle boots (here) and the right jacket and you’re ready to go! How talented are you. The edit is perfecto! Although I love this outfit, all white on me just doesn’t work this well! Definitely nice colors. I love that coat! Love the styling and push to wear something other than black for the fall.